Ecuadorian Hands' $40 Tagua Beads Giveaway Certificate! They are back! Ecuadorian Hands are anxious to promote the natural ivory palm nut beads so they are sponsoring yet another giveaway. So if you didn't win before, here is another chance! They are really lovely beads to work with. Hard and durable yet warmer to the touch than gemstones. Beautifully dyed and polished. I had previously received the equivalent of what a winner would receive (see below). The brown ones were rather overshadowed by the other brightly colored beads. My first design idea required double holes. I actually tried punching a hole in one of them with my strong Euro Punch. It just about made the hole (see front bead) so I recommend drilling with a Dremel if you are so inclined! I then changed my mind and went with a layered design. 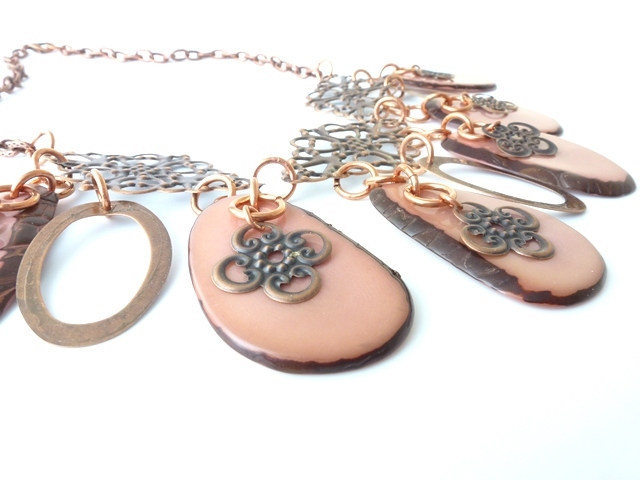 Silver or gold were wrong for these beads so I went with bright and vintage copper instead! Easy peasy design attaching the tagua beads to filigrees with jump rings. It ends in a week's time at 6 pm EST Monday, September 16 , 2013. I will pick the winner randomly and announce the results as soon as possible after. So be sure to leave a contact email if you don't have an online link or make sure you come back and check! Otherwise I will redraw in a week. Good luck! Wow. I'm the first to leave comment? I would love to try this eco materials with my other eco materials. I don't think I've ever noticed the browns before - they're beautiful & the necklace is gorgeous!! Very nice! love the beads. These are lovely! I am a jewelry designer for a local thrift store and I'd love a chance to incorporate these into my work! Wow, what a beautiful necklace. I would love to try making something like that. I love the Beading Gem's Journal!! 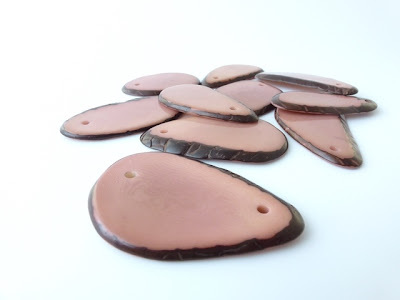 These are a gorgeous, earthy color, and I can see so many possibilities for ways to use them, both alone and in combination with other materials. They'd be great with feather work, too! Wonderful opportunity. Would love to win! I love these beads! Thank you for the chance to win some of them! Thanks for this opportunity! I am a subscriber. I am an email subscriber and would like very much to work with these beads. I am an email subscriber and would very much like to work with these beads. I follow your blog also : ). I would love to win some of these beads!! I have heard about them but never seen them. Love eco friendly items. Another chance to win those lovely beads ! I have never worked with beads like this before and would love the chance to try. Love your design with the brown beads. Beautiful work with beautiful materials! I'd love the chance to work with these. I have visite Ecuador and known the Tagua Beads, they are really great to see that they look some much alike Ivory, thus, no more elephants should be hurt, right? These are beautiful! I'd love to try working with them, thanks! 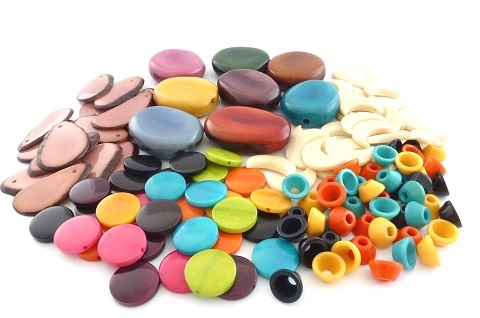 I would so love to give the tagua beads a try. I follow you on twitter as Shaiha_. So great to have this opportunity again, these beads are glorious! What beautiful beads. Would love to win these. I am an email subscriber. Thank you for giving us a chance to give these beads a home. The colored ones are really pretty, but I really like the size of the brown ones too. These are really cool beads/accent components. I am so sharing this on pinterest. Love the beads and necklace in this post. These beads look so great. I would love to gt my hands on some. I love the organic look many of them have. I've been making lots of colored jewelry and beads. I am loving silver & gold these days with these lighter colors. These are lovely! I'm an email subscriber as well. I like how the beads go so well with my favourite metal - copper! Ooohhh... These look wonderful! 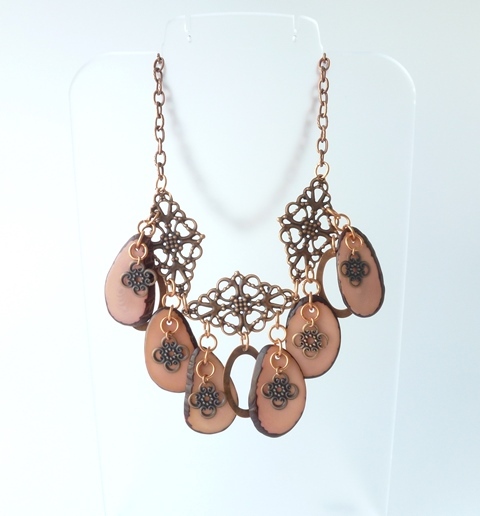 I live in an area where I have limited access to jewelry-making supplies (I do a lot of online shopping!) & I'm always looking for new & different materials to incorporate into my designs. I'd love to try these. Beautiful. Do enter my name. I am a subscriber also. 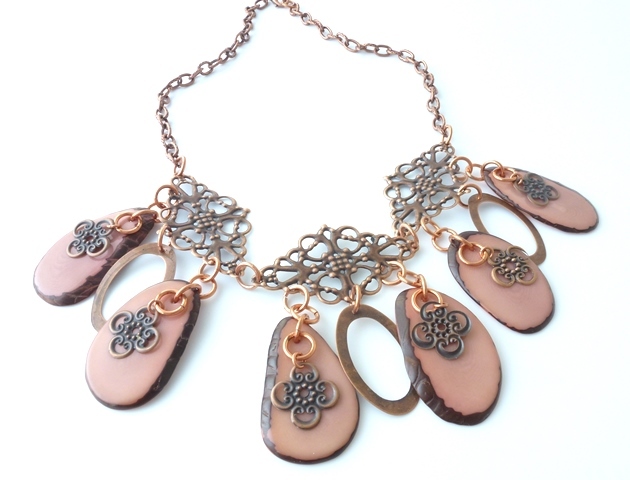 Oh lovely , Another Tagua bead give-away ! Wish I win this one . Cant wait to make a beautiful piece for myself , after seeing your lovely necklace tutorial ! I had the brilliant idea to buy the whole nut, slice and color them y use. Ha! It would be much nicer to win some. Thanks grabber.suzanne@gmail.com . you have a great blog and email newsletter. I receive it and read it all the time. these beads are so natural that I love them. I usually make rosaries, car rosaries and such. just 10 of these beads would make a wonderful set of 1 decade prayer beads. I would love these, thank you!! I'd love to give these a try with bead embroidery! Thanks for the offer!! Would love a chance to some of these beads. Thanks for the opportunity. I would love the chance to try some of these beads. I'm an email subscriber and face book as well. I'd love to work with those beads, they look so nice! The creative juices are flowing - I want to work these onto a Kumihimo necklace - yeah! The creative juices are flowing - let's see these as part of a Kumihimo necklace!